National Geographic's Minnesota Recreation Atlas is the ideal resource for any recreation activity from hunting and fishing to camping, golfing, hiking, and more. This durable, easy-to-use atlas includes up-to-date topographic maps, a comprehensive road network, informative recreation guides, and a detailed index. All road types are clearly identified, making each atlas a useful planning tool for motorcycle and off-road adventures. Maps include bold boundaries for parks and federal lands, and clearly labeled lakes, rivers, and streams. On each map page you will find a convenient map legend, easy-to-read page numbers, a latitude and longitude grid for use with GPS, and fact-checked points-of-interest. Also included are cross-referenced charts of fishing areas with species information, game management units, campgrounds and attractions charts, state park maps and facilities, hiking, golfing, skiing and paddling destinations, climate information, and more. Folded Size = 10.75" x 15.5"
Rand McNally's Easy To Read State Folded Map is a must-have for anyone traveling in and around Minnesota, offering unbeatable accuracy and reliability at a great price. Our trusted cartography shows all Interstate, U.S., state, and county highways, along with clearly indicated parks, points of interest, airports, county boundaries, and streets. Rand McNally's folded map for Minneapolis St. Paul is a must-have for anyone traveling in and around the Minneapolis St. Paul area, offering unbeatable accuracy and reliability at a great price. Our trusted cartography shows all Interstate, U.S., state, and county highways, along with clearly indicated parks, points of interest, airports, county boundaries, and streets. The easy-to-use legend and detailed index make for quick and easy location of destinations. You'll see why Rand McNally folded maps have been the trusted standard for years. The tiny region of the globe now known as Minnesota has appeared on maps for more than five centuries, in the sketchy first impressions of explorers, the exuberant promotions of boosters, and the analytical tools of planners and managers. 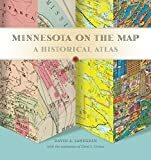 This lavish treasury of almost 100 maps, some rarely seen and never before available in one volume, illuminates the imagined, real, and changing landscape of Minnesota. Preeminent geographer David Lanegran embarks on his words-and-maps journey by introducing the early explorers' maps, beginning in 1507, which record attempts to find a route to China around or through the American continent. Changes in early military and political maps measured the country's expanding boundaries, and increasingly detailed maps encouraged settlement and the development of towns and cities. Lanegran offers stories of the fascinating controversies that fueled the state's development and how maps made a difference in their outcome. Readers learn about Duluth's port war with Superior, Wisconsin, how railroads dictated the shape of cities like Brainerd, the cruel fate of villages like Winona County's Beaver, the importance of the state's first 1919 highway map, and how Boundary Waters maps created a tourism bonanza. Lanegran's concluding assessment of a digital GIS map details how human processes have changed the face of the state. 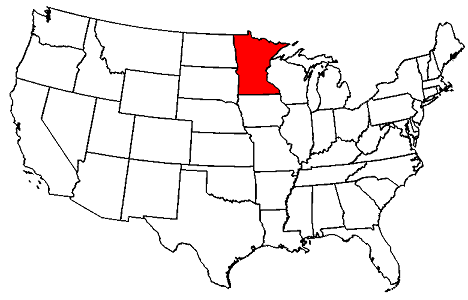 The durable and convenient Minnesota EasyToFold state map will take all the wear and tear your journey can dish out. The heavy-duty laminated design allows you to mark your route, make notes, then wipe the surface clean for further use. This is a must-have for navigation whether you're a state resident or just passing through. All you need to find your way through the North Woods, in one handy publication. 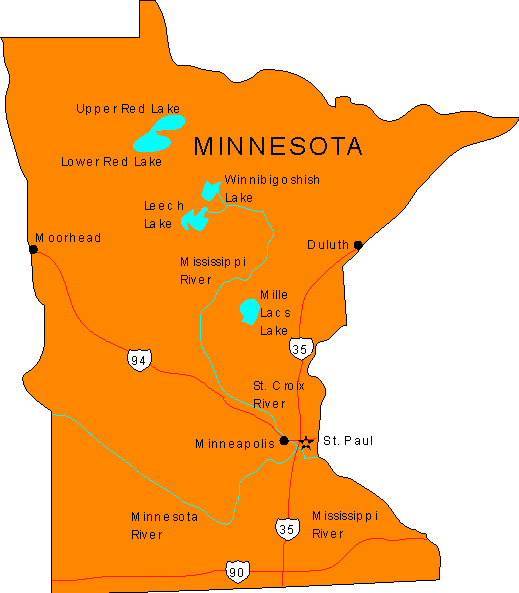 A highway map with complete road grade information covers everything north of Lake Mille Lacs. City insets get you around Duluth, the Iron Range, Fargo/Moorhead, Grand Forks and six other areas. 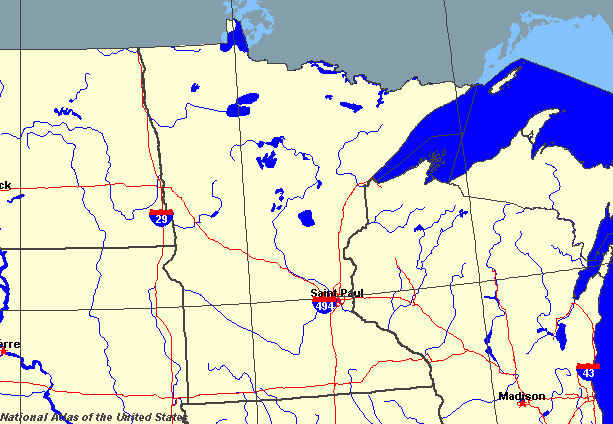 A detail of the Boundary Waters shows entry points and access roads. Accordion-fold laminate, printed on card-stock and coated for increased durability.